Every single day of my life starts with a 20-30 min read in the bath. I call it going back to the womb. Just prior to crinkle o’clock I emerge wide awake, refreshed, head brimming with pearls of scientific wisdom. I’ve found that regular consumption of popular science books stimulates my own thinking. Furthermore, I’ve found that having a few books on the go at the same time can enable a beautiful thing to occur. That delicious coincidence when you can draw together themes and concepts from completely different fields: fact and fiction/ science and art, opposite sides of the spectrum, that nonetheless all share a common thread. The moment of realisation, when connecting the dots is totally effortless, can be extremely intellectually rewarding and is promoted by having more than one book on the boil at any one time. So anyway, I get through a fair few books. In fact I stumble across excellent tomes at a rate that far exceeds the time I have to review them. So now I’m going to take the opportunity to briefly review 5 in one go. I felt immensely enriched by the broad knowledge base these great writers accumulated over several decades and brought together in each and every one of these books. I’m choosing this one to top the list largely because I recently hosted a post-film Q&A after the film screening of a great neuroscience themed play called “Broken Bridges, Stunted Trees” put together by the OneKX crew. On the panel of this particular audience discussion, along with several other distinguished guests, was Prof Steven Rose himself. A man who “retired into full time research” in 1999 having been the Open University’s Head of Biology for three full decades! Every now and then I have the opportunity to thank an author for fundamentally altering my thinking about a subject very close to my heart. LIFELINES truly changed the way I think about biology. 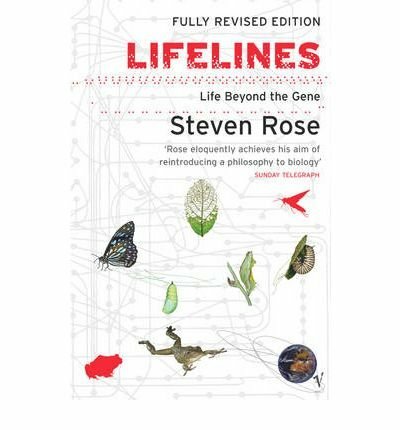 When I thanked Prof Rose for writing LIFELINES he was chuffed as it was a book felt particularly proud of when he finished it back in 1997. And I can see why. I loved biology throughout secondary school and have specialised in neurobiology at university and beyond. 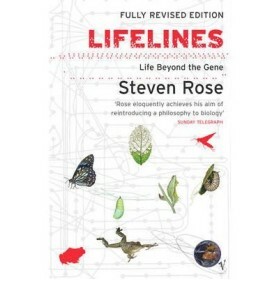 But it wasn’t until I read LIFELINES that I realised biology is not about nature and it’s not about nurture, but a jaunty waltz between the two. You simply cannot consider one in isolation of the other. Evidence of the cyclical interplay between genes and environment abounds in this wonderful book. There’s something magical to me about the way Jonah Lehrer writes. I’ve reviewed one of his books before: The Decisive Moment a.k.a. Why We Buy – was also extremely well written. I find his writing extremely compelling. He never labours the point too much. 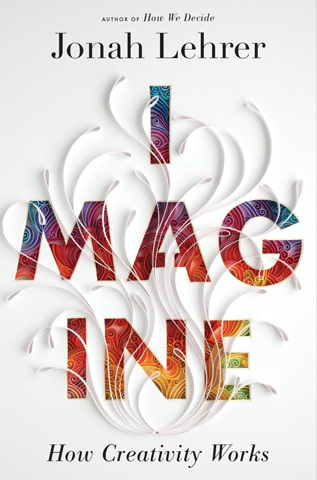 And so reading what he has conjured up in IMAGINE is effortless. He has a great knack for finding great stories to tell that really bring the scientific research to life by placing it in a familiar context. In IMAGINE he collates the latest research investigating how human brains do creativity and the types of environment that do and don’t foster it. He intertwines this science with genuinely fascinating anecdotes describing milestones in the creation of many products that we have all had experience of in some way, shape or form. For the insights into how the most innovative companies in the creative industries stoke creativity so effectively alone it would still be in this list. These beautifully written, fact laden, tales of creativity-in-action are insightful, useful and have great retell value. Creative people will probably recognise some of the strategies already. Indeed, many people stumble on these behaviours going solo, through trial and error. Yet what lies between the covers of this particular book are all the effective strategies in one place, along with a little de-bunking of the common misunderstandings for good measure. I’ve written articles about smart drugs and prosthetic devices in the past. This book is all about the long term ethical implications of both. Often neuroethics books are so dense with information that the reading of it can be really tough going. This isn’t one of those books that leaves you drowning in confusing terminology. On the contrary, it is an extremely easy read, conversational almost, yet it makes complex concepts crystal clear. It really makes you think hard about the powerful impact differences in access to technology have on the lives of various groups of people around the globe. But this isn’t just about any old technology, this is a new technology fit for the 21st century – technology that enhances your brain, boosting it’s capacities, going beyond good – BETTER THAN HUMAN. It even explains why neuroethics is important. If you’re wondering – t’s important because current innovations in neuroscience could, in a very short time, fundamentally change human life on earth. Now you don’t want to get that kind of thing wrong. Once something has been invented, it cannot be uninvented. Neuroethics helps to establish what kind of research should be on and off limits. And if someone’s going to invent it anyway – what in the world are we do about it? 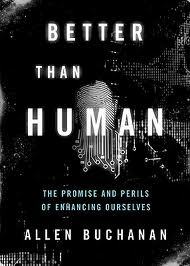 BETTER THAN HUMAN make me glad that wise men and women have been thinking this all through, calmly and clearly, future gazing looking out for problems on the horizon. They predict which technologies are likely to come to fruition and identify solutions to certain potential problems before they happen. This book makes all this potentially foxing information very digestible, it brings the fruit all that experts’ deliberations to the table in finger bowls. A light meal of neural sustenance. Most importantly, it leaves the readers’ eyes wide open to the broader issues that may well face society in the not-too-distant future if the “haves” get all the benefits of technological enhancement whilst the “have nots” get left behind. Society needs to close the gap between rich and poor, not widen it – for everyone’s sake. Drugs, Germs and Steel by Jared Diamond was the first book that boggled my mind in terms of the staggering breadth and width of knowledge that was drawn upon to tell the story of how we got where we are. The trajectory of mankind’s development through the ages was plotted via compelling accounts drawing from evolution, palaeontology, archaeology, natural history, anthropology and modern science to explain how the global power balance is skewed, for the time being at least, towards “western” countries. E.O. 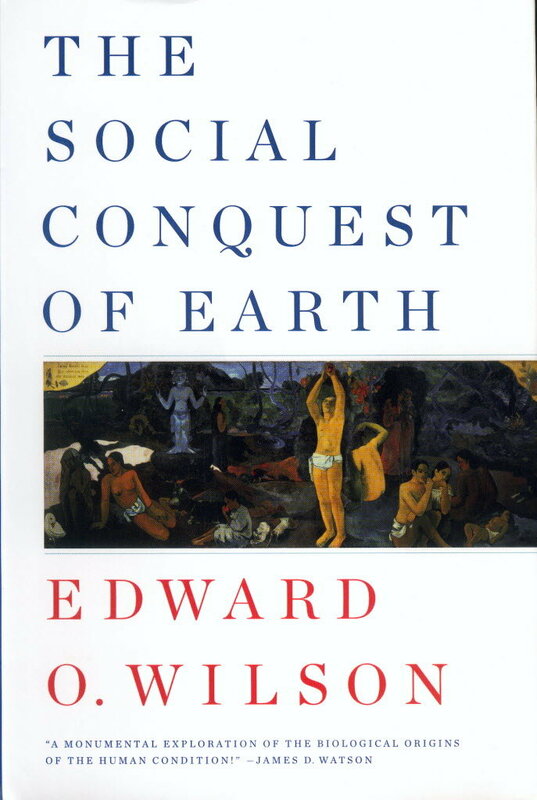 Wilson’s book THE SOCIAL CONQUEST OF EARTH takes an equally broad perspective on how in the world we came to be the most dominant creature on planet earth out of billions of species. 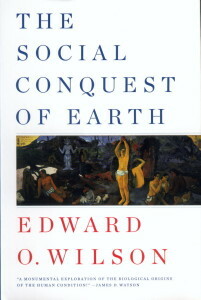 The depth and breadth of E. O. Wilson’s knowledge is staggering. His ability to boil such a diverse spectrum of information down into punchy little chapters is remarkable. His understandable desire to draw parallels between human and insect social behaviour/evolution can, I must admit, become tiresome. Particularly when he digs down into real detail, presumably to settle a score with academic competitors, of insect behaviour. However for me, as a person obsessed with the human brain, by skim reading the dense passages of entomology and slowing down when the discourse becomes mammalian centred again – I found this to be, overall, a great read. Wilson consistently manages to condense the debate down to meaty little mouthfuls of insight regarding what our ancestors had to go through to survive / evolve into us. And the insect stuff really does add some context, despite being too detailed for my tastes in many place. As for the non-insect heavy chapters, every page is a pleasure due to a clear effort to cut back all but the most relevant information required to make his deeply insightful points. This is the most accurate and coherent account of how neuroscience and psychology can contribute to marketing that I have read to date. Phil Barden has over twenty years experience in the marketing world, having worked for some of the world’s largest and most influential firms. 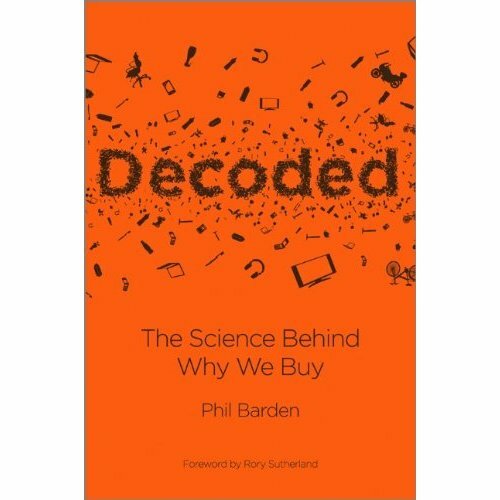 In DECODED he explains, with great clarity, insights that he and the team of scientists he works alongside have brought to their clients’ attention that have helped them communicate more effectively with their customers. Many books aimed at this market – like Martin Lindstrom’s “Buyology” and AK Pradeep’s “Buying Brain” have a distinct tendency to veer into the realms of wildly over-inflated claims. More sales than substance. 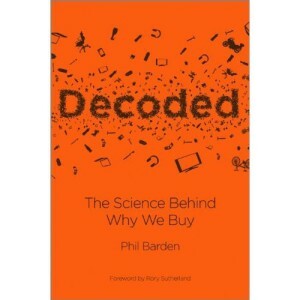 DECODED is a book of substance. It does it’s job of clearly communicating various ways in which marketing can gain extra leverage on the basis of properly executed science. Even if you have no interest whatsoever in marketing you should still read this book. Why? Well I think that if a person wishes to protect themselves against increasingly influential marketing ploys, then surely a book that takes you through the favoured tactics may be very helpful in terms of facilitating the process of dreaming up countermeasures? When a consumer becomes aware of that tactics being used, whether in the context of TV / radio / billboard ads, or shop floor merchandising and promotions, merely spotting them can defuse their potency. Stopping briefly to contemplate what that particular message is designed to get you to do can be very empowering. Rather than just allowing it to happen you can take a stand, be determined not to give in to the path of least resistance and take steps to evade falling into those psychological traps.